The most detailed images ever taken of Saturn's moon Mimas show it to be one of the most heavily cratered Saturnian moons, with little if any evidence for internal activity. Mimas has been so heavily cratered that new impacts can only overprint or even completely obliterate other older craters. 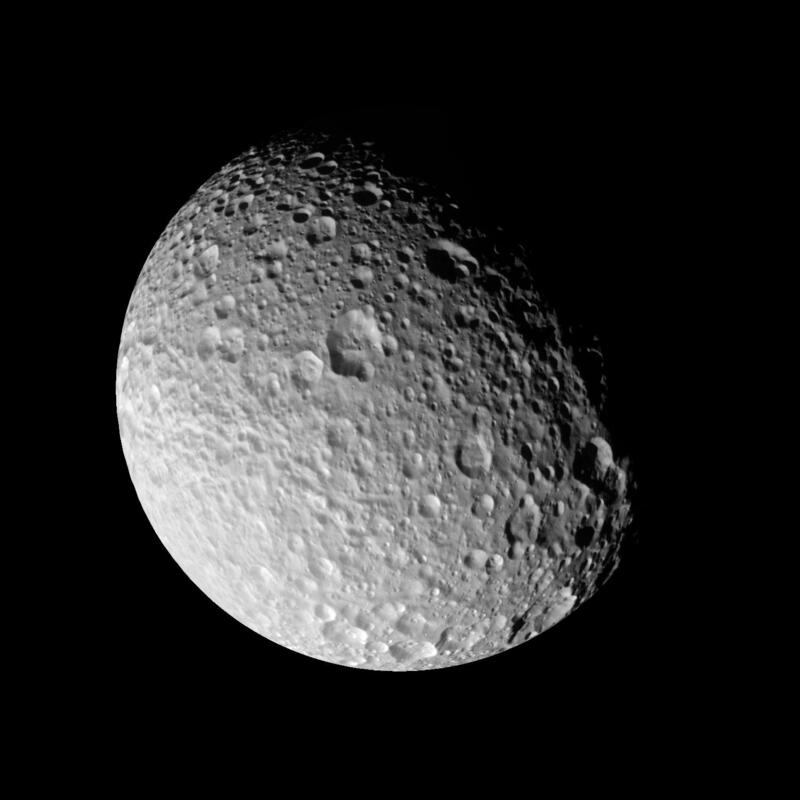 Mimas is 397 kilometers or (247 miles) across. The moon displays an unexpected array of crater shapes. The highest crater walls tower 6 kilometers (4 miles) above the floors and show signs of material sliding down slope. Indeed, many of the large craters -- more than 15 kilometers (10 miles) in diameter -- appear to be filled in with rough-surfaced material, likely the result of landslides triggered by subsequent impacts elsewhere on Mimas' surface. Some of these deposits have craters superimposed on them, demonstrating that the landslides themselves may be quite old. Grooves, some of which are over a kilometer deep, cut across the surface for more than 100 kilometers (63 miles). These are some of the only indications that there might have once been internal activity under this ancient, battered surface.